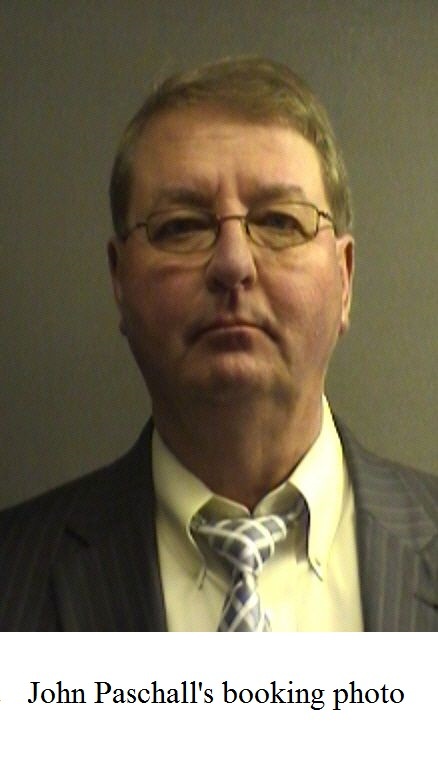 Former Robertson County District Attorney John Paschall must surrender his law license and pay restitution, but he will serve no more than 30 days in jail according to the terms of a plea deal that will be announced at a January 21, 2016 hearing. Meanwhile, an FBI agent is asking questions about finances at Hearne City Hall (more on that below). Paschall was indicted last year for stealing hundreds of thousands of dollars from Marium Oscar, the last surviving Jewish resident of Calvert, Texas, as well as her estate. The first-degree felony charge carried the same punishment range as a murder charge: five to 99 years on prison, plus an optional fine up to $10,000.00. When I first learned of the agreement, I assumed that Paschall had received lighter punishment in exchange for testifying against other members of the Booger County Mafia, but Asst. Attorney General Shane Attaway, the special prosecutor assigned to Paschall, said the plea agreement does not require Paschall to testify against anyone else. Melissa Hamilton, a visiting professor who teaches criminal law at the University of Houston Law Center, said the light punishment is not unusual for a first-time non-violent offender in Texas, particularly where the defendant is willing to pay restitution. In recent years, former Governor Rick Perry and legislators have tried to divert non-violent offenders from prison in order to reduce costs, she said. Professor Hamilton, a former Clearwater, Florida police officer, said the focus on restitution raises the question of whether wealthier defendants are favored because they are able to pay restitution. And speaking of wealth, one has to wonder how a disbarred alcoholic is going to generate $200,000 or more to pay restitution. Paschall indeed has no prior convictions, but he also is not your typical white-collar defendant. While he was the county’s chief prosecutor, and while he was sending other people to prison, he stole hundreds of thousands of dollars from an elderly woman that he was supposed to be protecting. And that is only the tip of the iceberg. For nearly thirty years, he simultaneously served as the district attorney and a crime boss. If any non-violent offender deserves hard time among common criminals, it’s John Paschall. Here’s the good news: Paschall’s sweet plea deal could really backfire on him. If he is in his usual state of impairment, he probably hasn’t considered the federal consequences of a guilty plea in state court. True enough, the limitations period on new state charges has lapsed, and the plea deal will almost certainly bar further prosecution in state court under any circumstances. But that will have no effect whatsoever on the feds. The limitations period on a federal bank fraud charge is ten years, and the bank fraud statute is very broad. Moreover, a federal conviction carries a sentence of up to 30 years, a $1 million fine, or both. I have copies of checks that Paschall fraudulently wrote against Ms. Oscar’s account as recently as 2007 for “attorney fees” (even though he was not her attorney). So if Paschall swaggers (or staggers) into the Robertson County Courthouse on January 21 and admits his guilt, he will make an easy federal case against himself, and the feds rarely cut a lenient plea deal. The feds would then have enormous leverage to pressure Paschall’s testimony against others. I’ve long suspected, for example, that the officers of First Star Bank in Bremond (now “SouthStar Bank”) were complicit in Paschall’s scheme to defraud Ms. Oscar. You may recall that when I served subpoenas on the bank officers, Paschall and his attorneys (who also represented the bank) went nuclear. They recruited their cronies to join the Calvert Historical Foundation, ousted its president, fired me as the foundation’s attorney (even though I was working for free), and terminated the lawsuit against Paschall, thereby walking away from more than $86,000 that I had already recovered from Paschall. Even so, I’m not sure the U.S. Attorney’s Office in Waco would take the case against Paschall, regardless of whether it was delivered on a silver platter. The Justice Department thus far has refused to bring any cases against Paschall or the Booger County Mafia, even though the FBI has already compiled thousands of pages of documents proving frauds and thefts in excess of a million dollars. As I’ve previously explained on BoogerCountyMafia.com, the reason for DOJ’s apprehension may have been U.S. District Judge Walter S. Smith, Jr. of Waco, the only federal judge assigned to the division that covers Robertson County. Judge Smith is a personal friend of State District Judge Robert M. Stem, and Judge Stem is one of the ringleaders of the Booger County Mafia. 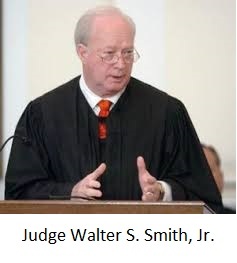 You may recall that Judge Smith arbitrarily dismissed the civil RICO case that I brought against some of the Booger County racketeers in 2009. In fact, that RICO case was the first time I publicly alleged that Paschall had been swindling Ms. Oscar’s estate, and I’ve subsequently proven most of the allegations in that case via other lawsuits. But I digress. Judge Smith is no longer an obstacle to prosecution, at least for the next eleven months. In response to my judicial misconduct complaint against Judge Smith, the Judicial Council for the Fifth Circuit reprimanded Judge Smith and barred him from taking any new cases for a year. In other words, if DOJ obtains an indictment in the remaining eleven months, Judge Smith will not be in a position to run interference. That said, I’d really rather see the attorney general’s office hammer Paschall in state court instead of taking the chance that DOJ might bring a federal case. I’m the only person outside of law enforcement or the state bar who has seen the evidence against Paschall, and by court order I cannot release that evidence, but I can tell you that the evidence of Paschall’s guilt is overwhelming. If you oppose the plea deal, you can send an email to Attorney General Ken Paxton by clicking here. You can also send a letter to Visiting Judge Doug Shaver c/o Robertson County District Clerk Barbara Axtell, P.O. Box 250, Franklin, Texas 77856. Letters must be received before January 21, 2016. I am reliably informed that Hearne City Council members are secretly interviewing potential candidates to replace City Manager Pee Wee Drake. Granted, it’s against the law to interview candidates without complying with the Texas Open Meetings Act, but when has that ever stopped the city council before? You will recall that Mr. Drake was indicted shortly after his retirement for misusing city funds, but the city council decided to hire him back as a “show of support.” Now he’s going to retire again, so apparently some of the council members are trying to quietly select a replacement. 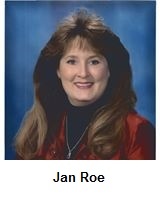 One of the candidates whose name keeps surfacing is former Robertson County Judge Jan Roe. Judge Roe is a distinguished affiliate of the Booger County Mafia and, after she was defeated for reelection in 2014, Judge Roe was hired as Vice President of Government Relations by CopSync. One of the investors in CopSync is none other than our old friend Ken Paxton, the Attorney General of Texas, who is now under indictment for some of his shady business deals. I’m aware of some suspicious appropriations of government funds to CopSync, but that’s a subject for another day. For now, I’m interested in Judge Roe’s role in ripping off the estate of Marium Oscar. In the civil case, Paschall was represented by Booger County Mafia kingpin Bryan F. “Rusty” Russ, Jr., who also serves as the city attorney for Hearne. After I was terminated from the civil case, Mr. Russ convinced Visiting Judge H.D. Black, Jr. to transfer Ms. Oscar’s probate case back to county court, where Judge Roe was presiding. In addition to serving as Paschall’s attorney, Mr. Russ was Judge Roe’s legal advisor in her role as county judge. Mr. Russ’s law firm had also contributed $1,000.00 to her reelection campaign. In other words, Mr. Russ knew he could get what he wanted out of Judge Roe, and he did. Judge Roe quickly approved Paschall’s accounting as executor of the estate of Ms. Oscar, even though hundreds of thousands of dollars were missing from that accounting. Worse by far, Judge Roe approved a $3,500.00 payment of attorney fees to Mr. Russ from the $86k that I had already managed to recover from Paschall. In other words, Judge Roe used the stolen money that I had recovered from Paschall to reimburse him for the cost of defending himself for stealing the money. Where else but Booger County? An FBI agent out of Waco contacted one of my clients, Roderick Jackson, to obtain copies of financial records from the City of Hearne. Robertson County District Attorney Coty Siegert said the agent also contacted him about getting copies of city financial records. Mr. Siegert obtained the records via grand jury subpoena after I published records showing that city officials had been using taxpayer funds for football tickets and Christmas gifts. I’ve long suspected the tickets and gifts were only the tip of the iceberg, and Mr. Siegert said he welcomed the FBI’s involvement, as his staff did not have the expertise to make sense of the thousands of pages of financial records obtained from the city. 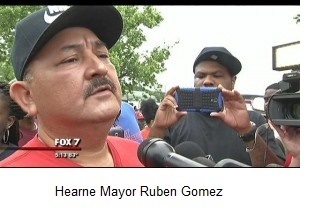 Meanwhile, Mr. Jackson and former Mayor Milton Johnson (among others) plan to circulate recall petitions for Hearne Mayor Ruben Gomez. The remaining Booger County Mafia affiliates on the city council – i.e., Michael Werlinger, Joyce Rattler, and Lashunda White – already will be on the May 9, 2016 ballot. The petition circulators also plan to submit an ordinance by initiative that would require the city to spend up to $120,000 for a forensic audit of city finances. The average citizens of Hearne may yet have the last word. That’s a shame he should get the 30 years in prison.. Hes a thieving worthless excuse for a da.. Whatever jugde it was that gave him days 30 should not be a judge no longer.. If Ty hates Hearne, and Robertson County so bad, I just wish he would stay out of it. He was fired as the Oscar’s attorney, but can’t leave it alone. I, and most of my friends aren’t interested in his opinions. There is another mafia in Rockwall County Where a former Lawyer now a Juedge in the Court of Law swindles people. Legal Opinion is this legal Plaintiffs sue a person in Boston , Defendant asks for a Deposition to be done by tele Conferencing. Eight hours before the Depostion the Judge bars it and orders the Defendant to appear in Rockwall County with in 8 Hours. Sounds like the Judge was playing CYA since he is a Crimina. BTW the Judge even uses an alias his name is John Brian Williams , but does not use the John part. The officials who are running the corruption and illegal searches of citizens of Falls County-Marlin, Texas may think they are above the law, but in the longrun God knows the truth and they will be held accountable. It’s an okay sentence for a first offence, non violent offender in Texas? What about all the people this man screwed over, including me?? I was only 17 years old when I had a car accident, hitting a tree, while 3 of my friends were in the car with me, and because I had Marijuana in my system, he charged tried to charge me with 3 attempted murder charges! They took it down to 3 vehicular assault charges, which are 3 felonies. I was 17! What teenager doesn’t do stupid crap? I messed up and smoked marjana 1 month out of my life, and because of it, my life is screwed. My life, and my family’s lives. I will never be able to get a good job because of it to be able to support my family. They lied to me and told me deferred adjudication was something that hid my record from everyone except Robertson county, so being a 17 year old, I took it. As I got older, I found out that is bull crap, and because I accepted it, I will never be able to expunge my record. There are numerous more that he screwed over, and their stories are even worse…I was only 17. All because of who my family is, they hated me without even knowing me. Do you think Loretta Lynch’s DOJ would go after a bunch of minority Democrats, especially in a red state like Texas? My 1988 High School Year Book wants Jan Roe’s hairstyle back.